Nonlinear dynamics and chaos involves the study of apparent random happenings within a system or process. The subject has wide applications within mathematics, engineering, physics and other physical sciences. 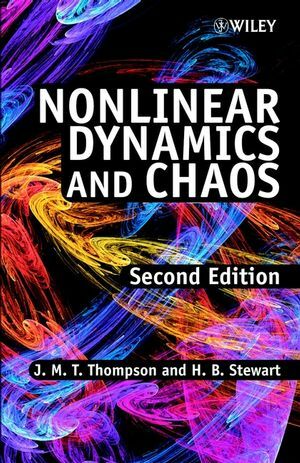 Since the bestselling first edition was published, there has been a lot of new research conducted in the area of nonlinear dynamics and chaos. John Michael Tutill Thompson, born on 7 June 1937 in Cottingham, England, is an Honorary Fellow in the Department of Applied Mathematics and Theoretical Physics at the University of Cambridge. He is married with two children. H. B. Stewart is the author of Nonlinear Dynamics and Chaos, 2nd Edition, published by Wiley. Acknowledgements from the First Edition. Most up-tp-date edition since 1986. Covers developments in the field since the first edition.